The quote above is so essential to Room & Board’s approach to design that we display it on the walls in our showrooms across the country. Shaker style is known for simple lines, functionality and fine craftsmanship. Often referred to as the first minimalists, Shakers designed their buildings and furniture around the principle of neatness. Their timeless aesthetic inspired modernists like George Nakashima and Hans Wegner. It has found its way into our collections as well. 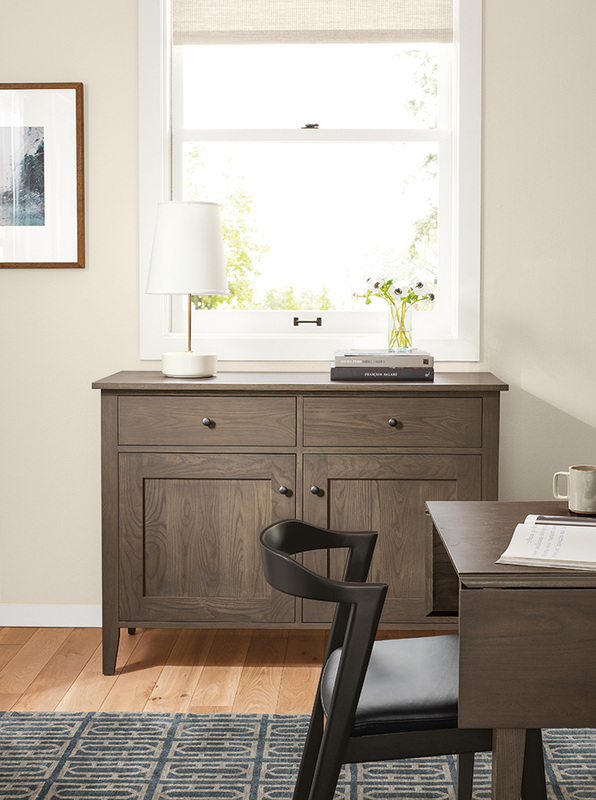 Here are a few examples of Shaker style as interpreted by Room & Board. 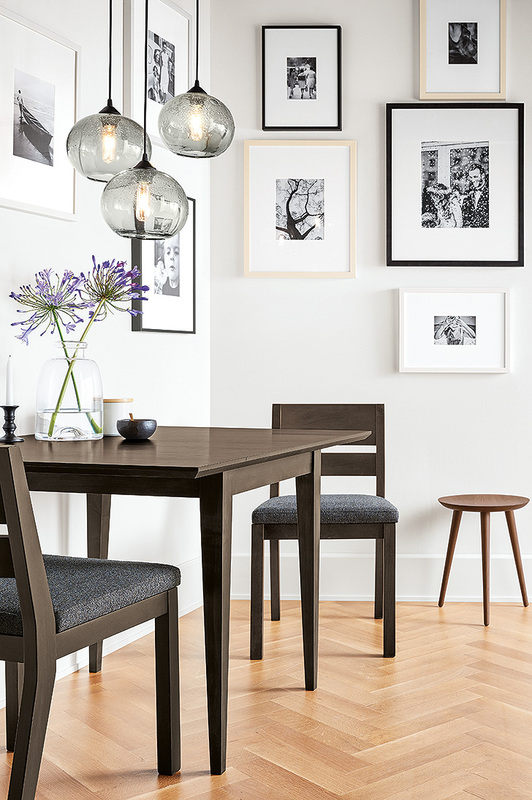 Hopkins chairs | Featuring timeless ladder back design associated with classic Shaker style, this chair pairs well with any table and highlights the durability of American craftsmanship. 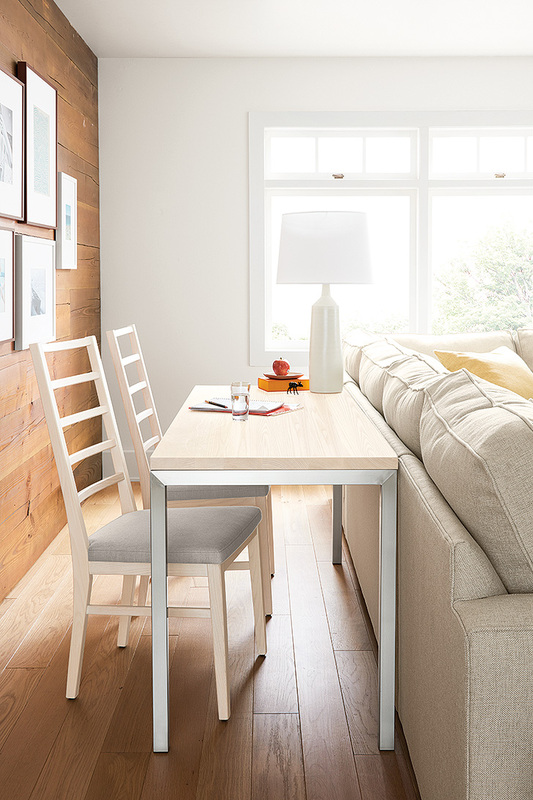 Every chair is made one at a time from domestically sourced ash, by expert woodworkers. Adams collection | This collection brings the elegance of Shaker design into the modern home. The West Virginia artisans craft each piece from solid wood. 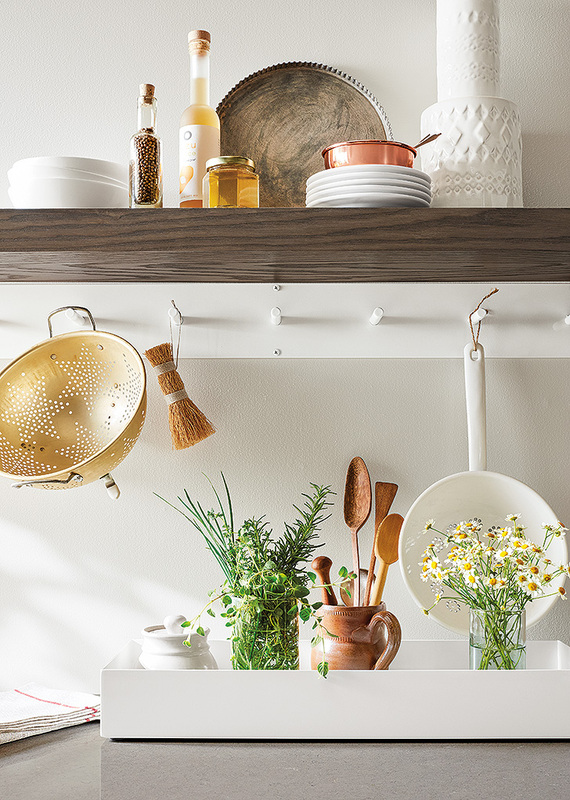 Spike multiple wall hooks | The Shakers hung wooden peg rails around their rooms and used them to hold everything from their chairs to candle holders. Artisan-crafted from steel in Minnesota, our modern version is classic shaker.